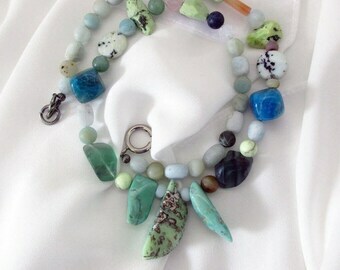 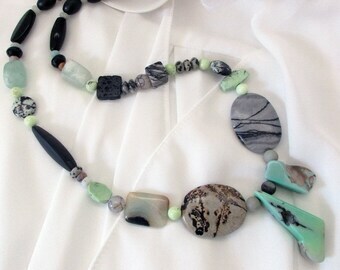 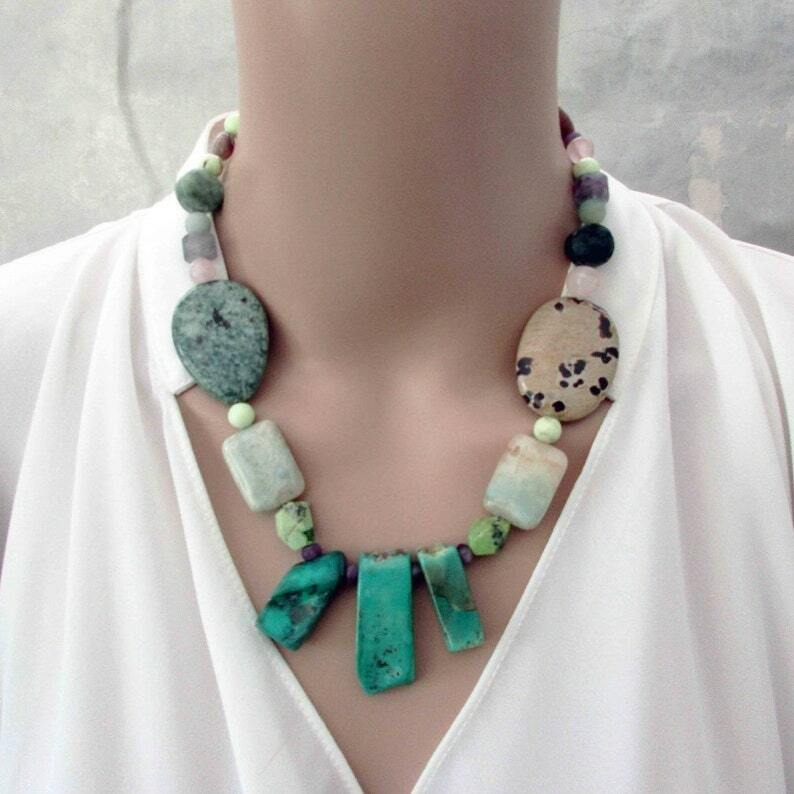 I have used a mixture of green chrysoprase, amazonite, amethyst, rose quartz, Burmese jade,dalmatian jasper and other gemstones in this necklace. 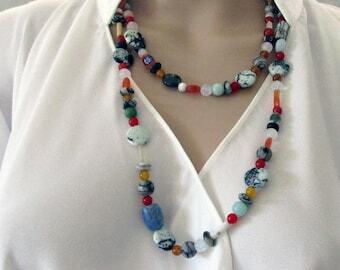 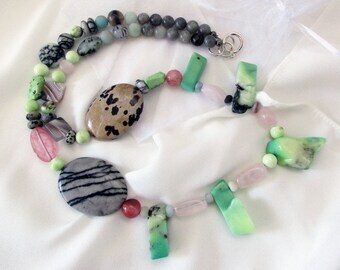 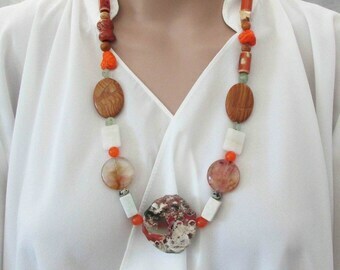 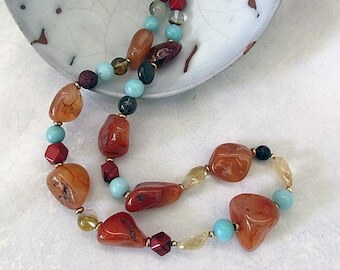 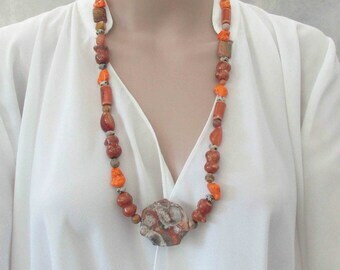 The focal beads are grass agate stick beads. 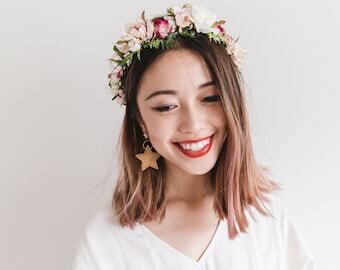 The largest measures 40mm (1.57In). 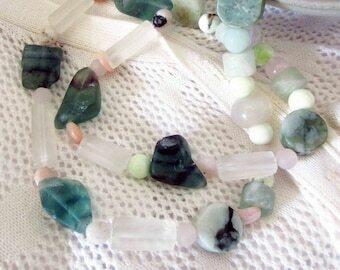 These beautiful raw stones have wonderful textures and indentations.